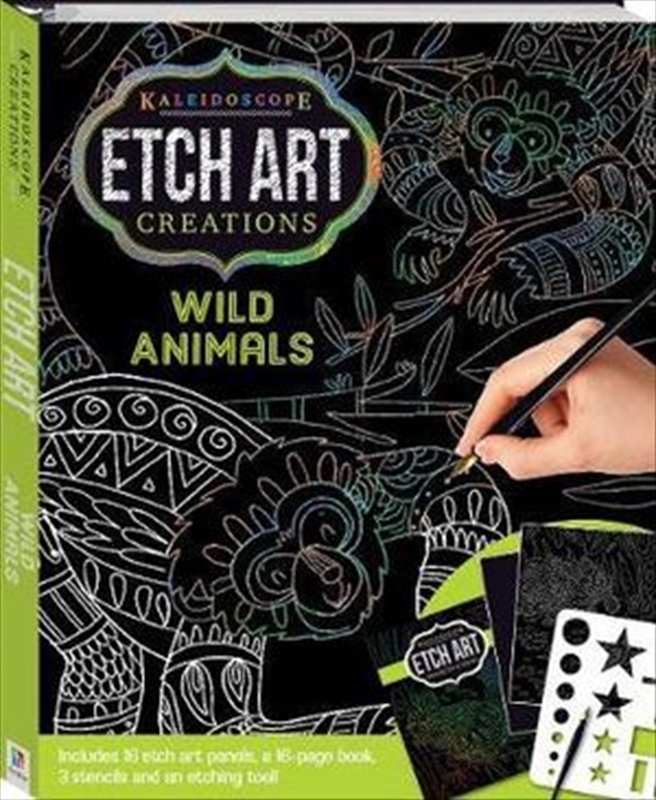 Etch Art: Wild Animals and More offers an exciting new way to explore your creative side and make awesome works of art. Just draw on the black etch paper with the stylus and you'll uncover the bright paint underneath, making your pictures burst with colour! This kit contains everything you need to get started, including a stylus, a sixteen-page instruction book, eight patterned etch-art panels, and eight plain etch-art panels ready for you to create your own gorgeous designs.